To enter to win Jeanne's painting, "Blue Beetle" go to Daily Paintworks and click on the link at the top of the page announcing their interview. 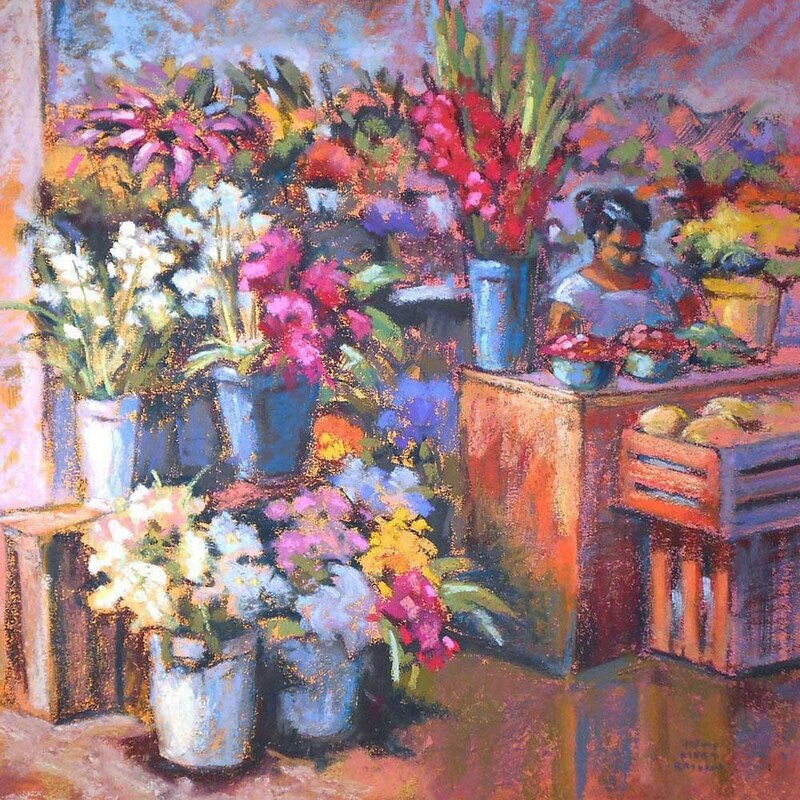 After spending so much time working on computers for my job in marketing, around fifteen years ago, I took a few watercolor and pastel classes at a local art center and got hooked on making art as an alternative to the rigidity of my work at the time, designing catalogs. 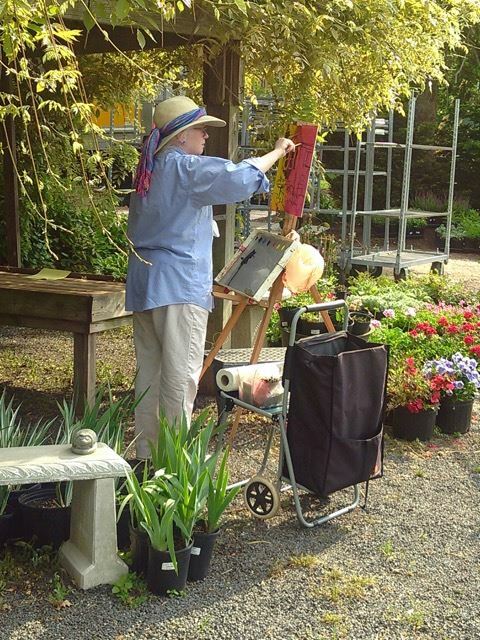 Once I went outside to paint plein air, making art became a real passion. I work full-time so there are periods when life gets in the way, especially in the winter, when I have a hard time getting motivated in the studio. That's when I resolve to try a new medium or technique. Enter to win by clicking on the link at the top of the DPW home page announcing Jeanne's interview. 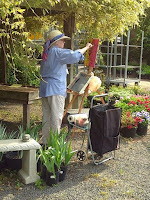 I thoroughly enjoy plein air painting in oil or pastel. Painting from life—learning to observe and translate to canvas—has been invaluable in advancing my painting skills. 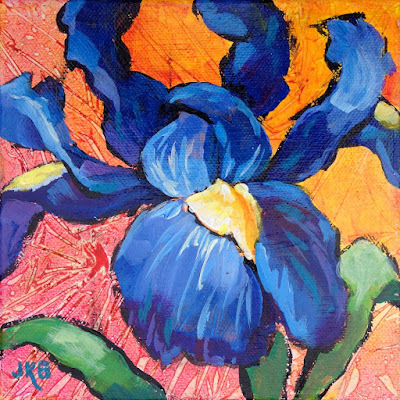 I've been playing with acrylics, too, just having fun with bold color. 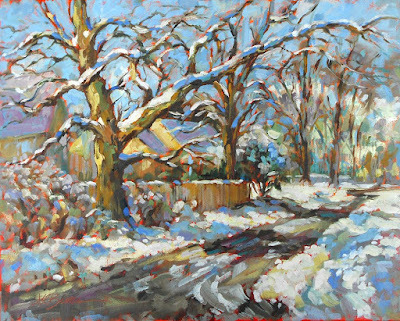 While I love the immediacy of pastel, I'm concentrating now on oil painting because of the relative ease of framing during plein air events. In oils, my goal is working larger than 16" x 20"; in acrylic, still need to learn their unique properties to use for the best advantage. 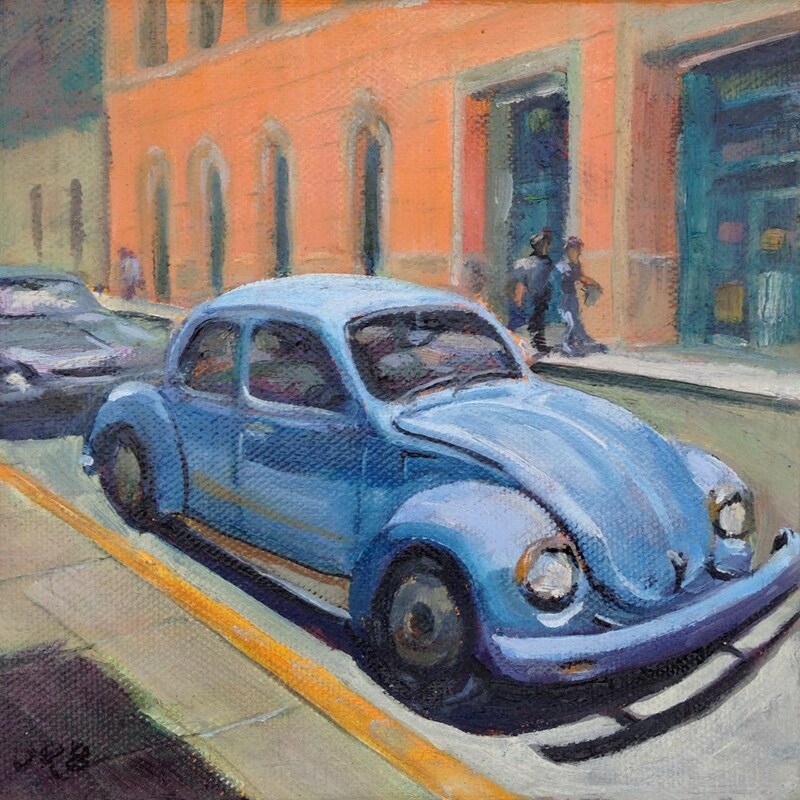 First, my sister, Patricia Bucko, a self-taught artist whose work is full of whimsy and joy. Then there are artists I follow on Facebook, mostly painting in an Impressionist style, many plein air painters. The common thread is their ability to capture light and shadow and bold color and brushwork. Generally, I procrastinate over upcoming show deadlines, causing myself unnecessary anxiety and stress. But it all manages to get done somehow. Setting a goal to enter an upcoming show or plein air event, or participating in online challenges is a motivator though the goals need to be realistic—you can't do every event that comes your way. Plus, having a home studio set up even if I can only paint for a half-hour before work. 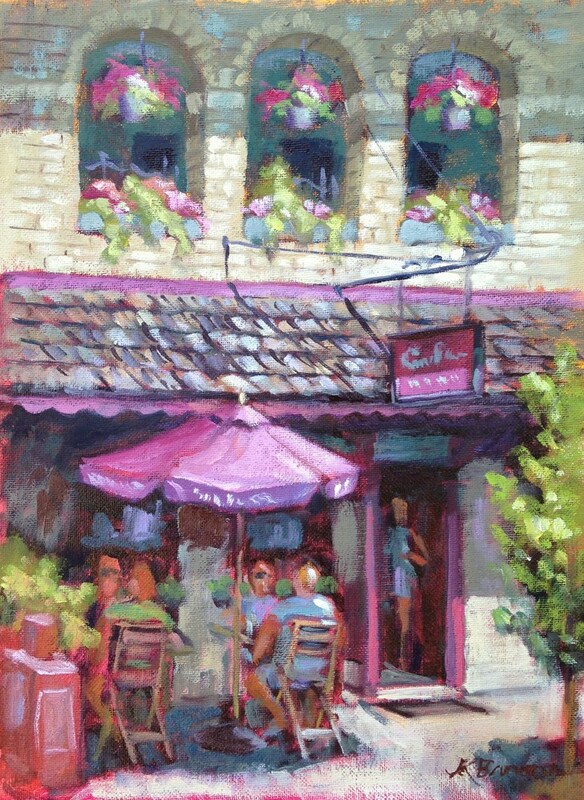 In plein air, I'm attracted to contrast, color, and patterns, and aim to include a strong focal point. I'm always studying other artists' techniques to determine how they might improve my work. Playing with toned backgrounds, experimenting with varying the paint thickness with painting mediums, square vs. rectangle formats, and choosing a variety of locations such as urban scenes. Still learning to 'see' and correctly capture values. When I mull over failed paintings, they generally lack a good value structure. Besides the meditation-like feeling I get when painting for a few hours feels like minutes, if a subject I paint connects with someone, that gives me a thrill. I painted a little foot bridge in a local park; a woman saw it and told me her son's Scout troop had built the bridge many years ago -- so she bought it for him. Connections like that, even if they don't lead to sales, are very satisfying!